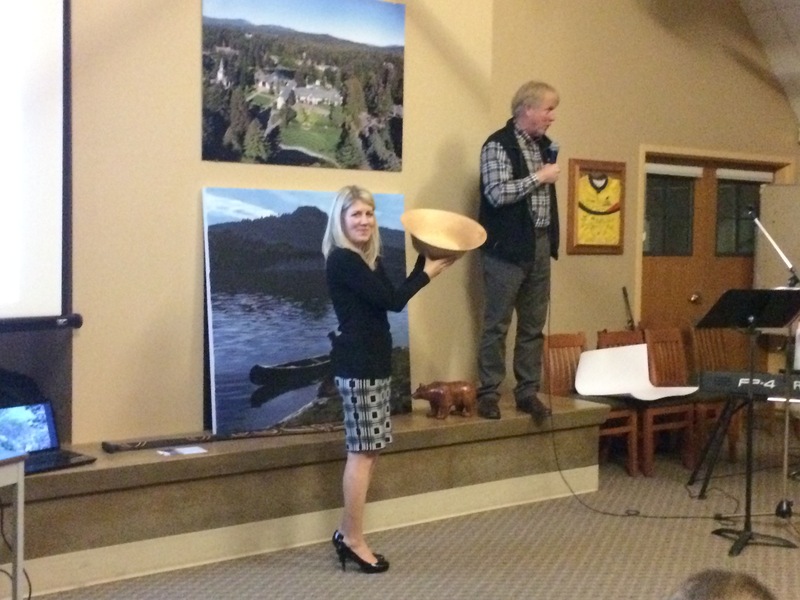 On Friday evening, about 80 people came out for a festive evening at Shawnigan Lake School. 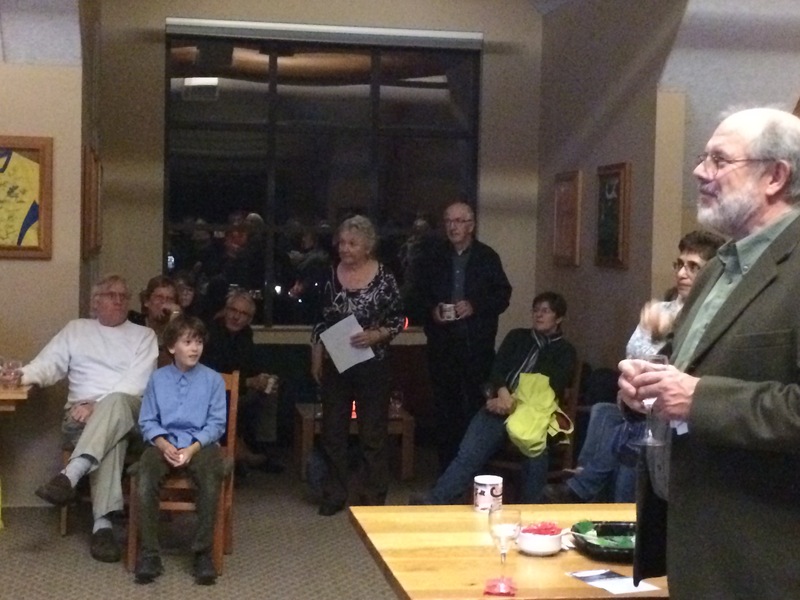 There was delightful music, delicious food, and delectable wine. 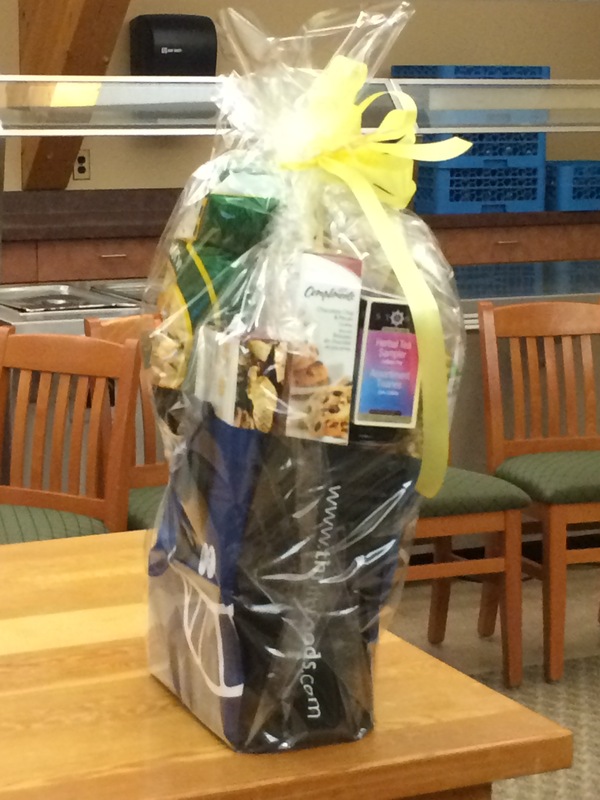 There were also extraordinary live and silent auction items. 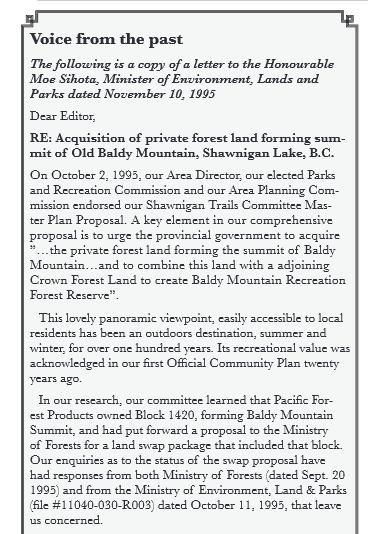 Most importantly, there was a collective desire to see a long-standing dream of the Shawnigan community come true: to protect Mt Baldy as a park. 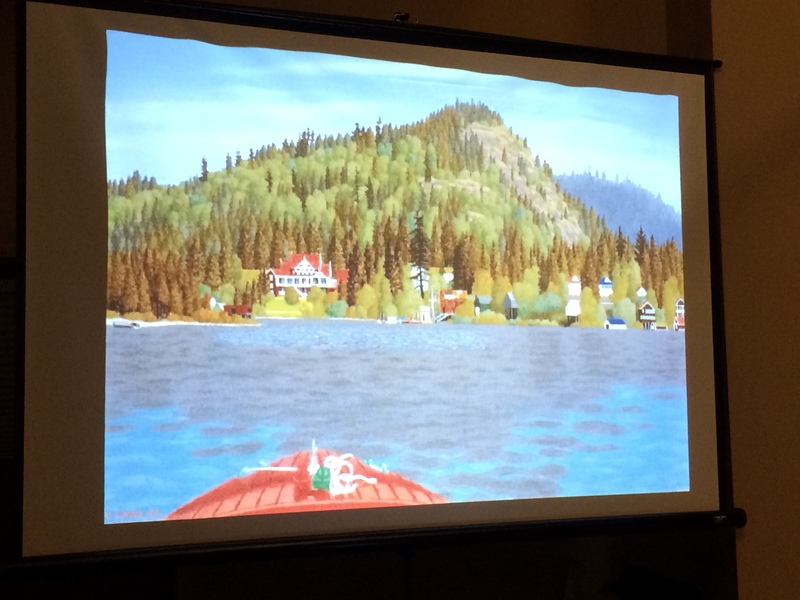 It was a wonderful evening, and by the end over $8700 was raised. 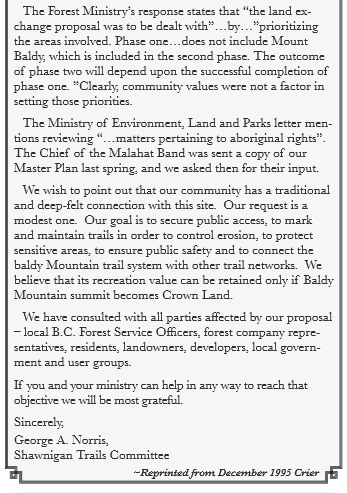 We are on the cusp of protecting Mt Baldy forever. 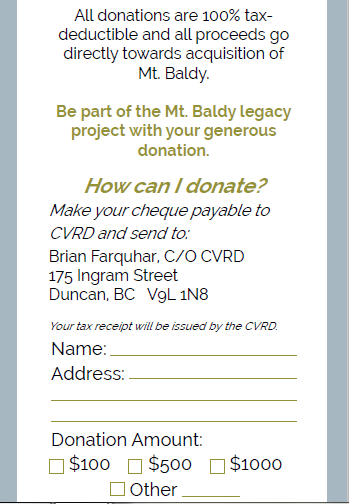 You can contribute to this legacy for the Shawnigan community with a 100% tax-receiptable donation to the CVRD. 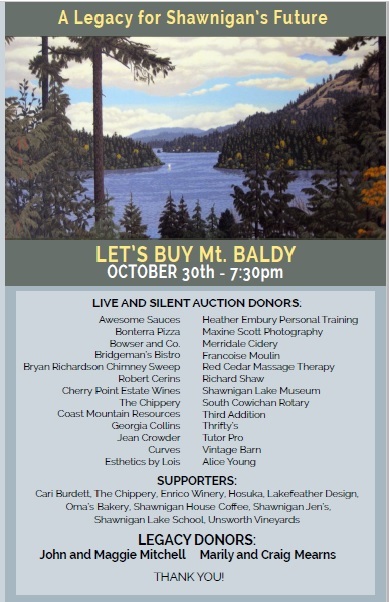 Thank you to everyone who came out on Friday evening, to Shawnigan Lake School for providing the venue, to the many donors of live and silent auction items, and to the hard-working volunteers (especially Barane McCartney, Gaileen Flaman, Bruce Stevens, Margaret Symon, and Steve Housser, auctioneer extraordinaire) who pulled together and created an evening of celebration and generosity. 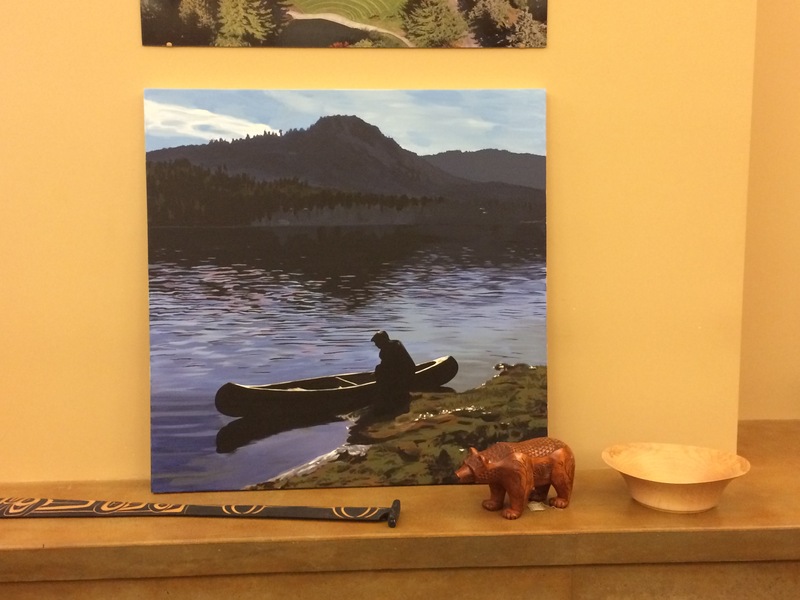 Thank you, Shawnigan, for continuing to be a truly inspiring community! 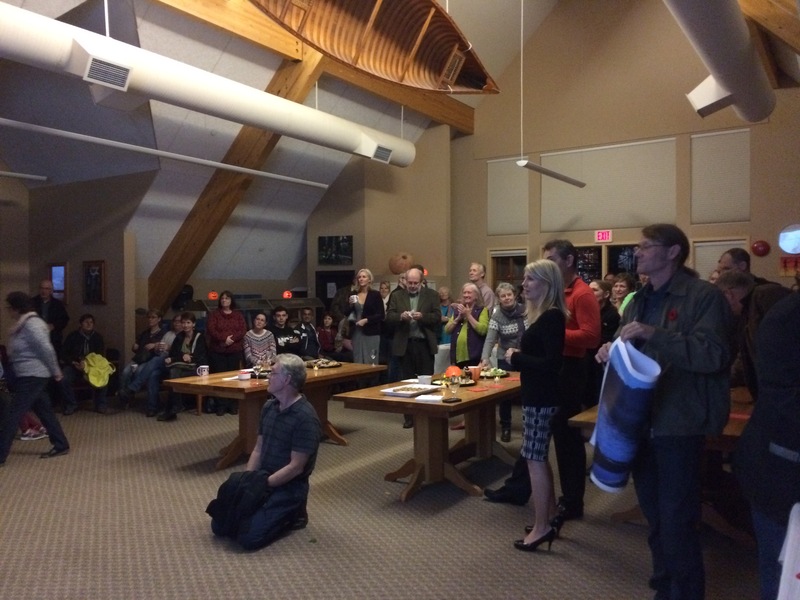 ← Curbside Collection Survey – What’s happening?